The capital of Scotland is full of interesting things to do, excellent hotels and delicious food. 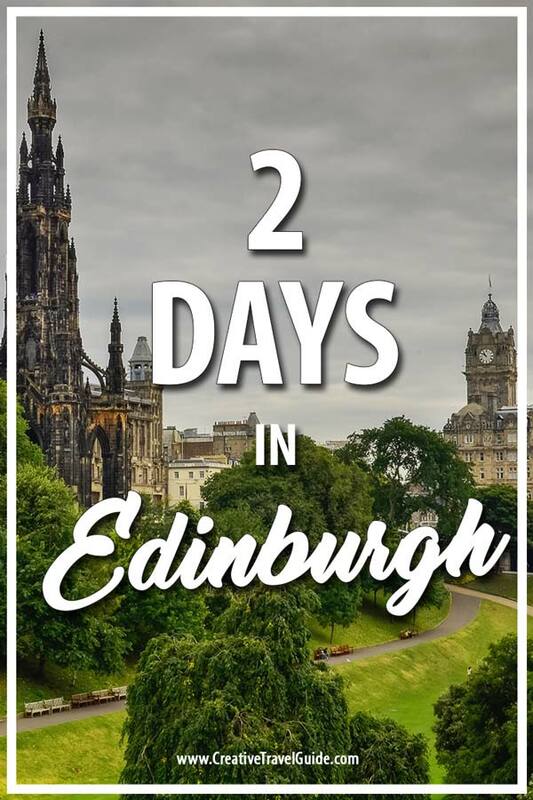 Guest writer Kris from Gadsventure tells us about the best things to do in Edinburgh to complete your perfect 2 days in Edinburgh! Now, full disclosure, I am from Australia. 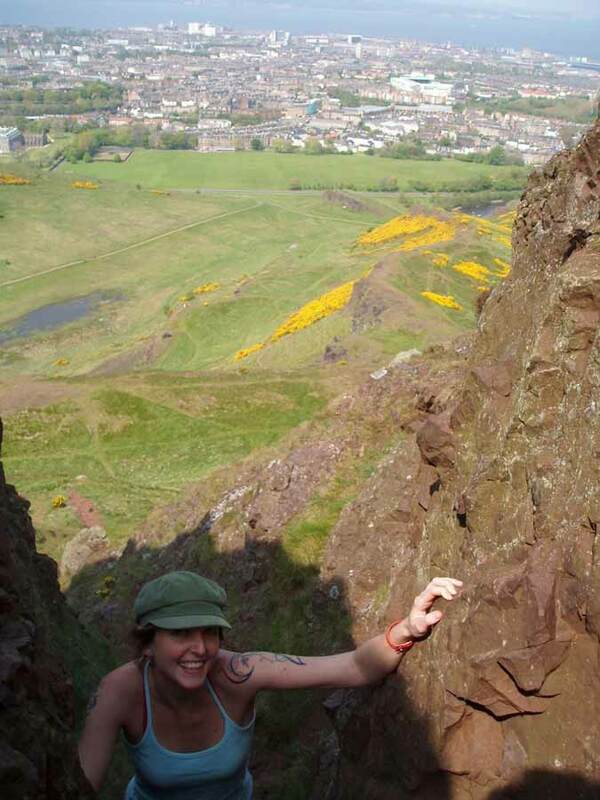 I first went to Edinburgh to live for a gap year with my husband a few mates, working holiday and all that. For some unknown reason we decided to go against the masses of Aussie expats moving to London and be different. Braving instead the strange accents and bitter winters of what turned out to be the best city on earth! Arriving into the Edinburgh train station at Waverley you are immediately struck by a wonderment of Edinburgh. It is a thriving city, its streets are abuzz, there are tourists everywhere and you literally see kilt-wearing bagpipers on street corners in the arctic wind. I kid you not. It doesn’t take long before you really take Edinburgh in your stride and make her your own city. One of the great things about Edinburgh is that there is just so much to do and it is all so close! There is heaps of free entertainment, as well as paid, and a truckload of sights to see just outside of the city proper as well. 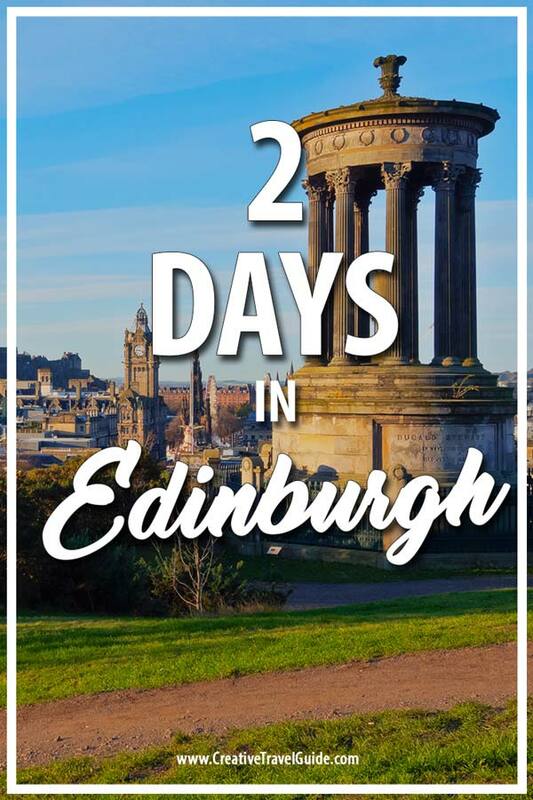 After spending a year here, we learned quickly how spoilt we were with so many places to visit in Edinburgh for fun and frivolity, which suited us down to the ground! This fabulous city cake topper of a castle perches above the city like something out of a fairy tale. From every angle on the main thoroughfare Princes Street, Edinburgh Castle watches over you like a hawk. It is so picturesque and has you dreaming of medieval times. Tourists flock to the Castle for the famous Edinburgh Military Tattoo which takes place during the Edinburgh Festival in August. The cheapest ticket is only £27 and they range all the way up to £330! The military tattoo is such a spectacle and will leave you feeling delighted for sure. If only for the fact you get to sit inside such a spectacular historic venue for the evening, you will get your money’s worth. A once in a lifetime event. If you decide that living in Edinburgh for a time is your thing, then please make sure you are here for August’s Edinburgh festival. If you are visiting, then forget it. The accommodation prices soar uncontrollably and Airbnbs are harder and harder to come by, and all the hostels are booked out a year in advance. If however you are like me and lived in Edinburgh and August conveniently rolled by, you would be a very happy camper indeed! The whole month is celebrated with shows, comedians, street performers, the aforementioned Military Tattoo, concerts, fireworks oh, you name it. Edinburgh puts on a show like no other. Hawkers stand around Princes Street and the train station getting rid of half price and even free tickets to lesser known acts, which often turn out to be world class. Old town around the castle entrance comes alive with amazing street performers that take your breath away. The Edinburgh Festival is not to be missed! The only party that might rival the Edinburgh Festival is of course Hogmanay. It’s basically a wild 3 day party that goes over New Years Eve, and spills over like champagne bubbles from a glass. It’s an event like no other and is definitely one of the best NYE experiences on earth. Hogmanay has to be seen to be believed. Just to the east of old town and out the back of Holyrood house you find a beautiful green mound called Arthur’s Seat that is just ripe for an easy afternoon hike. The air is crisp and the views are absolutely divine as you scale the tallest hill around. The grass is so spongy you feel as if you could fall about amongst the scattered heather, it feels so quintessentially Scottish! We took one of these tours with a humorous grain of salt, not realising what craziness awaited us. These guides actually took our group under ground into the old old Edinburgh which is hidden under Old Town, into spooky crypts and a cemetery where they shut the door in a dark and scary cavern of a place and proceeded to scare the bejesus out of us! Not for the lighthearted, but a fairly cheap and entertaining fun way to spend an evening. Growing up, Trainspotting was my favourite movie and it was set in Edinburgh of course. You will recognise scenes were shot on location along Princes Street, at Waverley train station, and down along Leith Street. Edinburgh has certainly cleaned up a lot since the days when that movie was set. Although you will still find purple lights in the public toilets just in case. 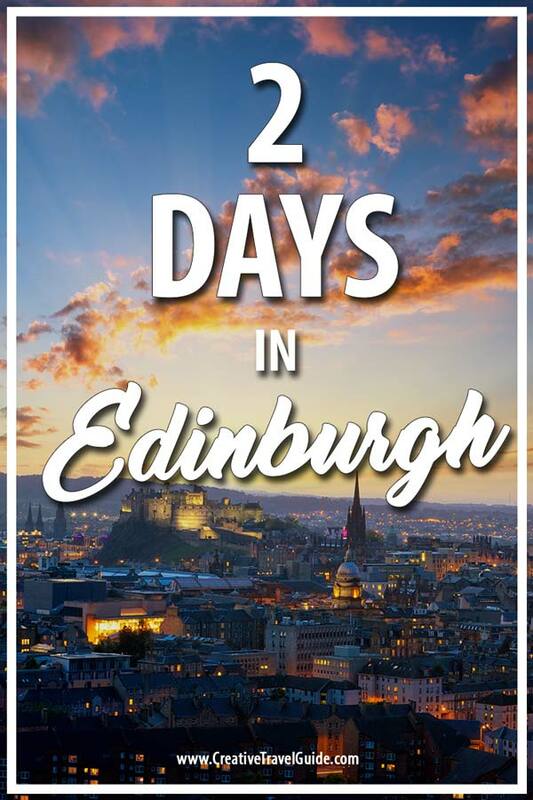 On your way back, a pub crawl up the whole mile of the Royal Mile – the road approaching the castle is an absolute must do in Edinburgh. The historic pubs are the heart and soul of this cobblestone street, and there is even a whiskey distillery with samples along there too. Be warned thought that many a stiletto heel has come to grief on these cobblestones. This hill is another great afternoon walk with a fantastic view over the city and the Firth of Forth. There are a series of strange monuments that definitely get you thinking such as the Scottish National Monument that became renamed more like the Scottish National Embarrassment as it ended up being to costly to finish. However, I think its incompleteness only adds to its charm! On the way home you could either stop at the National Portrait Gallery, or if that’s not your scene, take the route via Cockburn Street instead for some inspiring pub type atmosphere. Princes Street is the main part of the new town with a wonderfully convenient tram line link down the centre. This really makes navigating the city an absolute breeze! This the edge of the main modern shopping precinct too. You also find the striking and iconic Scott Monument. This standout gothic spire dominates the street like the castle dominates the city! After living in Edinburgh for a year, shopping and drinking were probably the main things we got up to! The gardens lie between the main street and rise up to the grand castle and are a beautiful place to escape the pace of life. Another great green space was over at the Meadows which has the oldest pub ever, and a random small 3-par golf course. After everything gets covered in snow in winter, the Meadows is one of the first places that you see tulips and daffodils bursting forth in the spring-like magic. A weekend away would see us visit St Andrew’s which is apparently the oldest golf club in the world, or head over to the east of Edinburgh to visit Hadrian’s Wall or the Rosslyn Chapel. 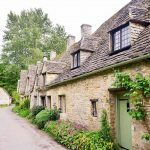 All easy day trips from the city and they cater to golf fans, ancient history fans, or literary pop culture aficionados alike! If you are living in Edinburgh, you have enough time on your visit, i definitely recommend hiring a car and driving as far north as you can go up to John O’Groats which is the most northerly part of the British Isles. It is windy and cold, but a fine sight to behold. The sheep farms around there are pretty wild, and the coastal scenery is absolutely breathtaking in all its remote beauty. If you’ve come this far, you might as well visit Glen Coe, Loch Ness, Loch Lomond and the Isle of Skye to round it out. You certainly wouldn’t be disappointed in the fine scenery and astounding views around Scotland. And car rental is quite reasonably priced too! 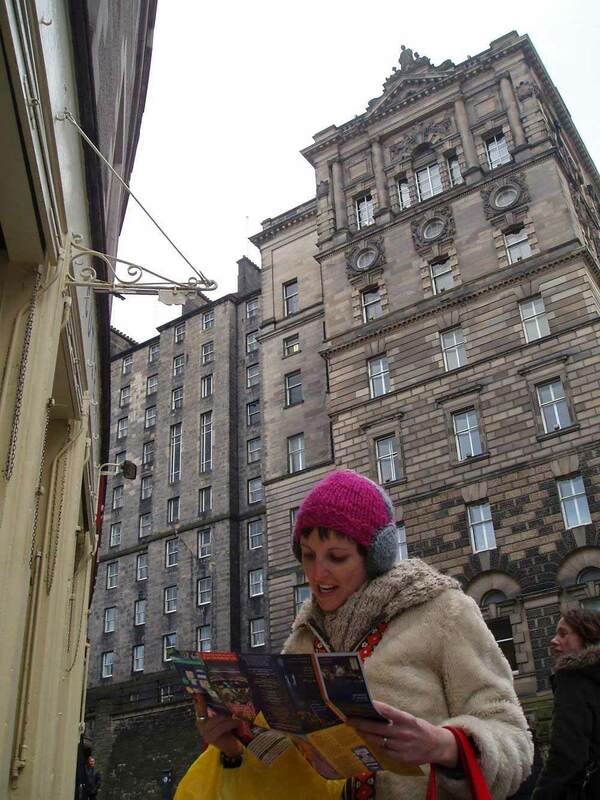 Edinburgh is such a wonderful city to both live in, and to visit. The people are friendly, the weather is crisp and clear, there is even an urban fox or 2. The pubs and the cobblestoned streets of the old town lined with 7 storied tenements are so romantic and elicit feelings of being in an old fashioned storybook yourself. The Edinburgh Military Tattoo is a must for those that are looking for incredible marching band showcase. 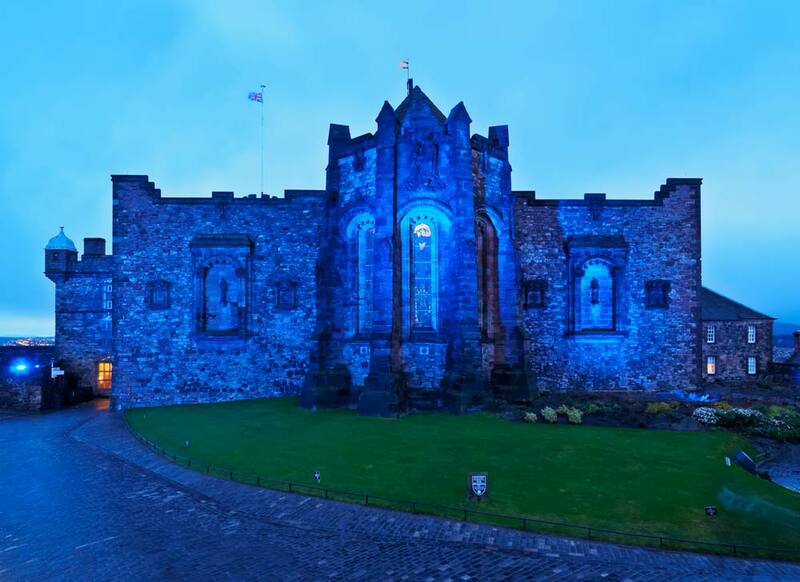 Ghost tours, a brilliant example of a gothic castle, plenty of green spaces and the festival to end all festivals, all the places to visit in Edinburgh make it one of the top cities in the world.